Once in a while, a product comes along where people say... what a good idea! 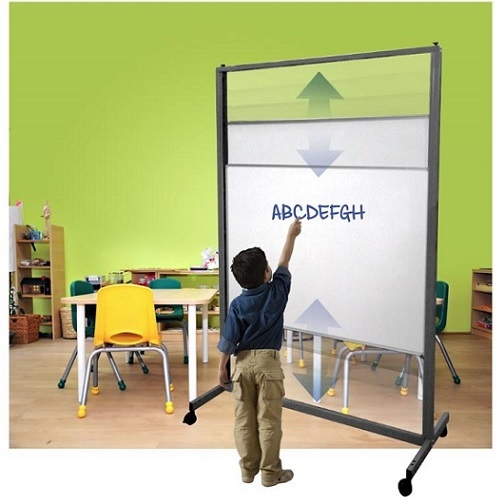 That's ASPIRE, a double-sided vertical sliding magnetic whiteboard ideal for younger students or those presented with a difficulty are now able to fully participate. 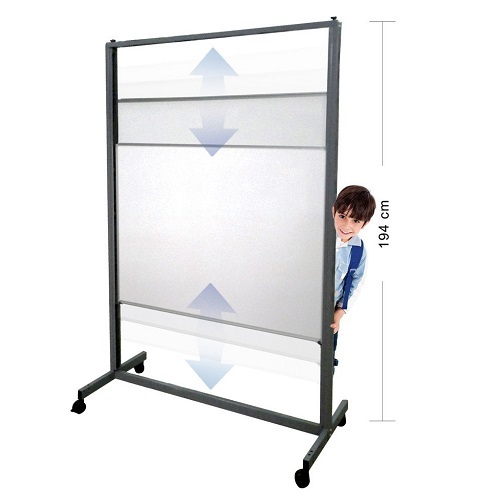 2 surfaces are heavy duty porcelain and 2 are commercial magnetic - so 4 writing surfaces - each whiteboard measures 1200 x 900 mm. More writing in less space. You can write the question…hide the answer. 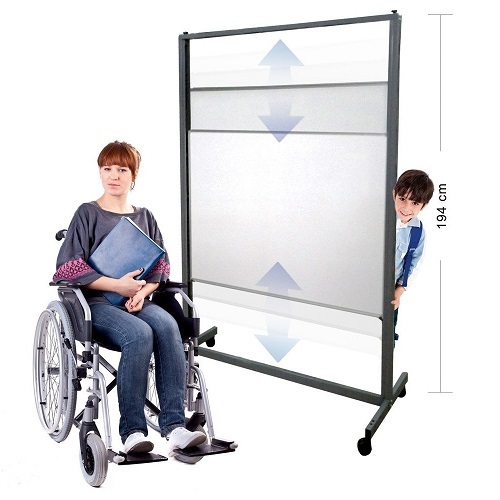 Easy to use - boards glide up and down. Silent, smooth and tested over 10,000 times. Precision manufactured for quick and easy self assembly.